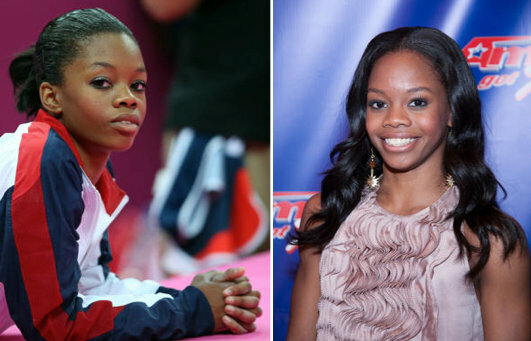 Olympic Gold Medalist, Gabby Douglas received a lot of flack for her hair looking a mess at the Olympics. Well she must read the blogs because the history making gymnast teamed up with hair guru Ted Gibson to do her hair before appearing on a publicity blitz that included appearances on the Tonight Show, The Late Show and America's Got Talent, according to Yahoo News. Gibson, who works with Angelina Jolie and Anne Hathaway and also appears on the reality series What Not To Wear, gave Miss Douglas a new look with a middle part and waves that fall just below her shoulders.